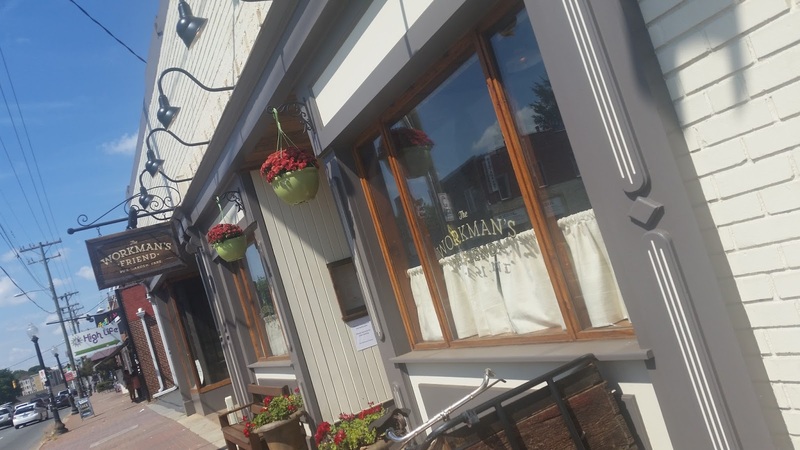 This edition of Excited about Eating takes us to the Plaza-Midwood area of Charlotte and to The Workman’s Friend, an Irish pub offering a variety of pub fare with a Southern influence. 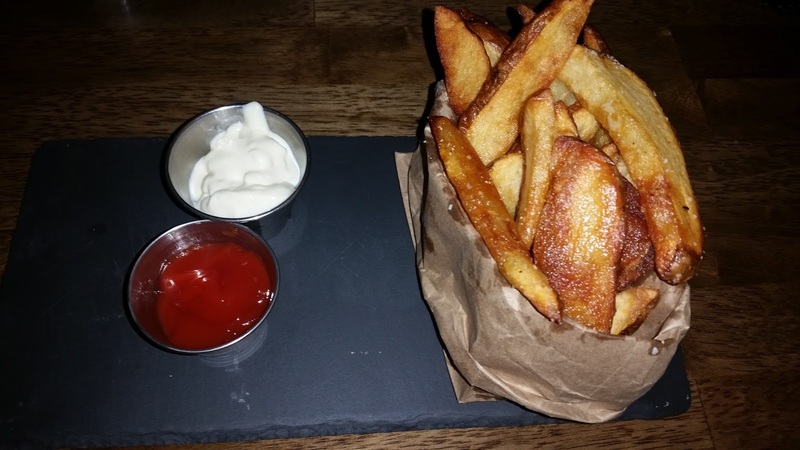 For an appetizer, we chose the Bag of Chips, hand cut fries with salt and malt vinegar aioli. Not chips in the American sense, nor the typical thick and potato-y pub chips. They were almost a blend of the two, crispy on the outside and firm on the inside. I ate mine with extra malt vinegar. Perfect! Dora here. You should have seen Ernie’s face when the server set the chips down on the table. I knew he expected homemade American chips. lol. 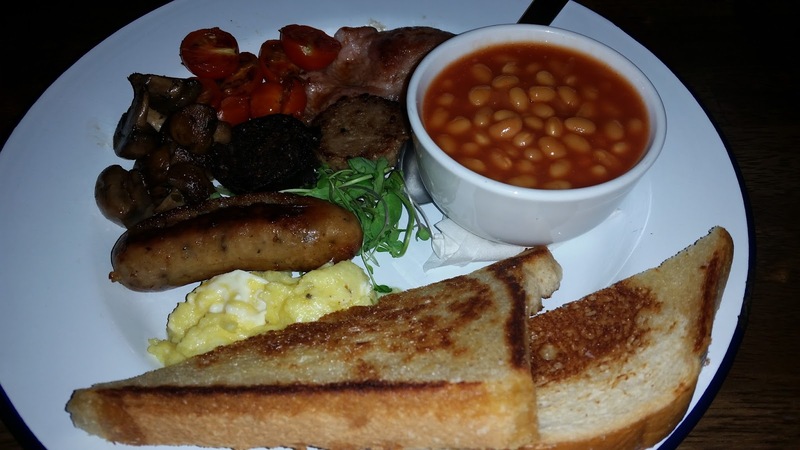 The Irish Breakfast was the brunch special of the day. Eggs, a Banger (sausage), Black and White Pudding (also sausage), Irish Bacon, Baked Beans, grilled tomatoes, mushrooms, and sourdough toast. Black pudding is sausage made from blood, meat, fat, oatmeal, and bread or potato fillers. White pudding (the same minus the blood), and Irish bacon is from the back of the pig instead of the belly and is like ham. The highlights of this great dish were the three different types of sausage and the sourdough bread. Dora here. I’m a big fan of Irish pubs. Well, pubs of all kinds, actually. I’d heard about Black and White pudding but never tried it until now. (See those two round patties next to the baked beans. And how did they ever come up with that name??). Considering the ingredients and the name, I was surprised at how tasty they were. 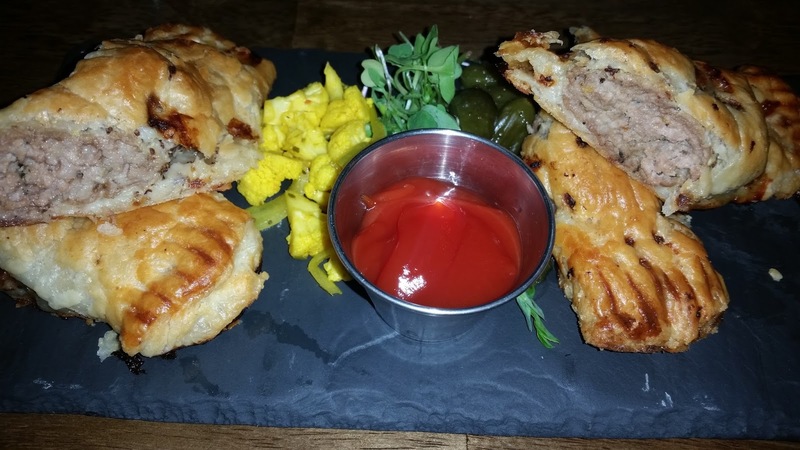 The Sausage Roll, a blend of ground sausage and mustard and sour cream inside a puff pastry, fit my mood. Something light, not too heavy, and I enjoyed the mild sausage flavor. What about you? Do you enjoy pubs? What’s your favorite pub food? ← ROPING THE COWBOY releases TODAY! Never been to a pub but enjoyed reading about your experience at this one. I had a hard time scrolling past the bag of chips, Dora. They look delicious! I enjoy Pubs. 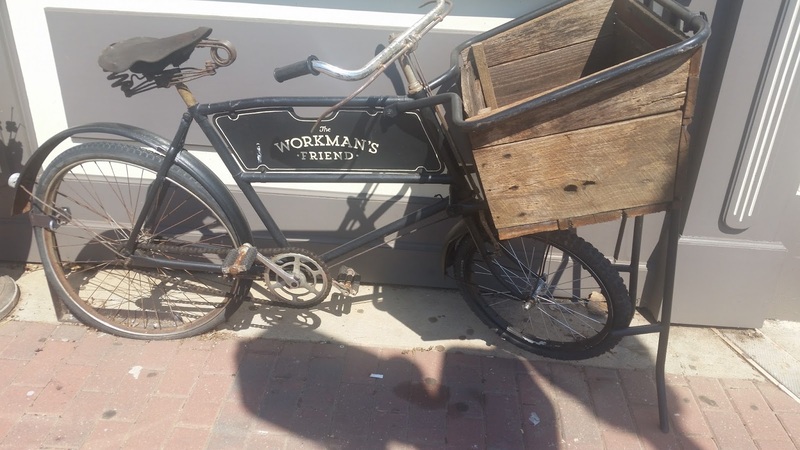 We might have to check this out. Thanks! Definitely give it a try if you're in the area. Let me know what you think. Yes, we do. It's an adventure. I'm not a huge breakfast fan. I'd settle for cereal. Fish & Chips are one of my faves, though, and pubs make 'em best! Thanks for popping in, Tanya. Ann, you should try a pub, the food is usually outstanding. Jill, the bag of chips were great. Check out this place if you get a chance. Tanya, I really like British breakfasts also, although the baked beans for breakfast is not high on my list.